Many shelters do not have the time or resources to help look for a pet individually. 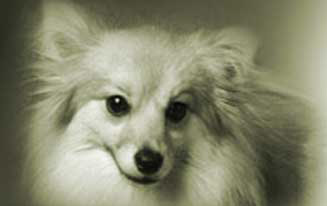 Many require on-site searches by the owner, in order to find a pet. Please be aware that some of these phone numbers may be extremely busy, or may not have personnel to respond to individual requests. But, you may wish to try to contact the shelter before going in person, as pet locations and operating times change on an as-needed basis. Most pets are pictured on petfinder.com, but some shelter sites have also posted photos, taken at their shelters. Please go to each Website to see which shelters post photos, as this changes frequently. Note: collaborating with Best Friends. All animals in petfinder. Note: Organizing convoys with Project Starfish to transfer animals out of LA. Note: Listed in ASPCA directory of shelters that have Katrina animals, but not independently verified. Contact for lost birds. Has nearly 70 birds (parrot, conure, cockatiel, etc.) taken from Gonzales facility. Website has links to photos. Note: many animal photos at http://photos.plaqueminesparish.com. Residents should contact them for additional support. Note: listed in ASPCA list of regional shelters with Katrina animals, status not verified. St. Bernard Parish Animal Control shelter closed. Visit the parish website or contact parish officials for animal control, lost and found pets within St. Bernard Parish. Took animals from Lamar-Dixon in late September for fostering. Listed in ASPCA directory of shelters, phone # not verified. Inmates collaborating with HSUS to care for animals. Therefore, they should be listed in petfinder. All Animals HAVE BEEN MOVED FROM THIS FACILITY TO SHELTERS AROUND THE COUNTRY. PLEASE CALL THE HSUS at 1-800-HUMANE-1 (1-800-486-2631) if you need help locating a pet which was once housed at the Lamar-Dixon Center. Shelter is operating normally open to the public 12 noon to 4:30 p.m. Monday to Friday. Most of their animals belong to community residents, some strays. Note: listed in ASPCA list of regional shelters with Katrina animals, status not verified. Jefferson Parish Animal Shelter East Bk. Best Friends Animal Society is working alongside Jefferson Parish Animal Control (West Bank Animal Control Shelter, 1869 Ames Blvd, Marrero, LA). Note: listed in ASPCA list of regional shelters with Katrina animals, status not verified. Shelter is open, operating normally and is also providing shelter for owned pets belonging to hurricane evacuees. info: Pet owners in the Lake Charles area should contact them about lost pets. Listed in ASPCA directory of shelters that have Katrina animals. Messages can be left on the shelter's telephone answering service. Listed in ASPCA directory of shelters that have Katrina animals. Note: All animals in petfinder.com. Note: 300 animals rescued by Algiers resident, Madeline, in her neighborhood. Will be on petfinder. May be moved to other shelters.. Used Dogs ONLY has information on animals from Algiers or animals that were evacuated to Algiers. Have Katrina pets on site, but not open to public; no address available; will be fostering out animals they are rescuing from New Orleans by end of October. Very active in rescuing and post-rescue care. This shelter has 6 Katrina German Shepherds, photos. They also have other animals from Katrina. They apparently have quite a few Katrina pets at this animal clinic. Note: See Louisiana State University, Baton Rouge listing for additional Information. So far, the only animals they have are owner surrenders, as far as we know. Caddo Parish Animal Services Dept. Note: In ASPCA list, no independent verification done regarding Katrina animals. UPDATE: Was located at Hirsch Memorial Coliseum, Louisiana State Fairgrounds at 3701 Hudson Avenue, Shreveport, LA. Animals in petfinder. Note: Has at least one Katrina Bullmastiff. No other breeds. Dog listed on Petfinder. Pet owners from Slidell advised to go to Heritage Park to go in person to claim your pet. Many pet owners finding their pets. This is a temporary shelter open from 8 am to 7 pm everyday for the next several weeks. Hundreds of pets are being expected to be housed there. For Abita Springs Location only: shelter is open. Stray animals may be held on-site for as long as 10 days before being transferred to a number of other shelters. Call or visit the shelter for up-to-date information. Animals listed in petfinder.com. For anyone needing information on their lost pets in St. Bernard's Parish. Pets listed in petfinder.com now. Ascension Parish Animal Services Dept. animals, but not independently verified. They have rescued many pets and the shelter is based at 115 Obed Magee Rd in Tylertown, MS. Please contact the number/e-mail address above for information about where the animals are located that they rescued (many in other shelters across the country). Keeping animals relinquished by owners, and looking after animals for owners who cannot take pets to current housing.